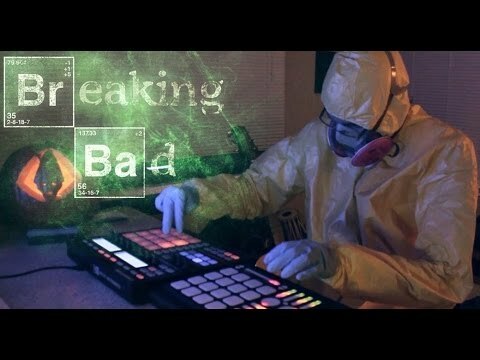 [ALL SPOILERS] A trailer for Breaking Bad after a friend gave me a song and challenged me to make it fit. You have no one left to fight for. Fill your pockets and leave in peace. Or fight me and die! Breaking Bad has been an awesome show to watch. While it was airing, I would be going back and forth with friends about which characters we sympathized with and who we thought were really the good & bad guys. Of course no one liked Skyler. Meth, DEA, Los Pollos Hermanos, shady lawyers, this show has everything you'd want. The first couple seasons is a nice long and intense buildup to a very satisfying payout in the final season. This show was great from the first episode to the last. The show was almost unheard of: a strange tale of a highschool chemistry teacher in a rural corner of America, toiling away in a life of quiet desperation, only to be told that he is dying of cancer. So he teams up with a former pupil, Jesse, to make and sell crystal meth, to earn money fast and provide security for his family after his cancer takes its toll. It's a portrait of one man's simultaneous ascent (to drug lord) and descent (into moral depravity). Do you prefer Jesse with or without hair? Who do you think was the more successful drug lord? Are you satisfied with how Breaking Bad ended? Which season of Breaking Bad did you think was the best one? Which of Jesse's girlfriends did you like most? No one has asked any questions, ask a question about Breaking Bad? Now to wait for the Saul Goodman spinoff. How did the doctors classify Walt's missing days?